Following the success of the Beijinger‘s annual Hot Chili Pepper Eating Contest and the crowds that came to see competitors sweat it out in the name of ring-of-fire fun, this year, our sister magazine decided to go one step further and offer the same experience to the Beijing masses with the inaugural Hot & Spicy Festival! 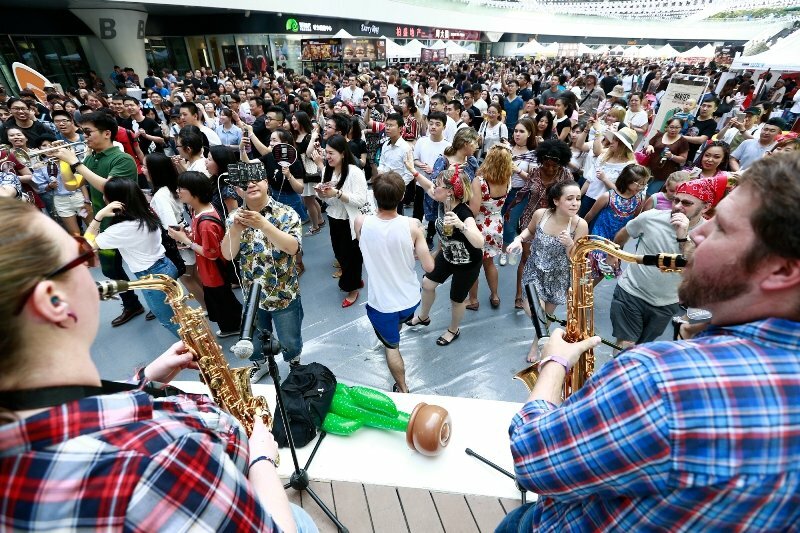 Come Apr 14-15, crowds will gather in Galaxy Soho as the summer slowly encroaches, with more than 40 vendors representing cuisines from approximately 20 countries onsite to sling their spiciest wares in the name of chili love. Expect food as varied as Texas hot wings to Yunnan fried tilapia, American barbecued spicy ribs to Sichuan pepper pork, Mexican quesadillas to Japanese “devil’s” fried chicken, all with one thing in common – their inherent and habit-forming heat. We’ll also have the best beers in town to put out the fire inside alongside fiery cultural performances to get you hot under the collar. Then there’ll be our annual Hot Chili Pepper Eating Contest, where the most daring of Beijing’s chili eaters will consume the world’s hottest peppers for prizes and sweat-drenched bragging rights. 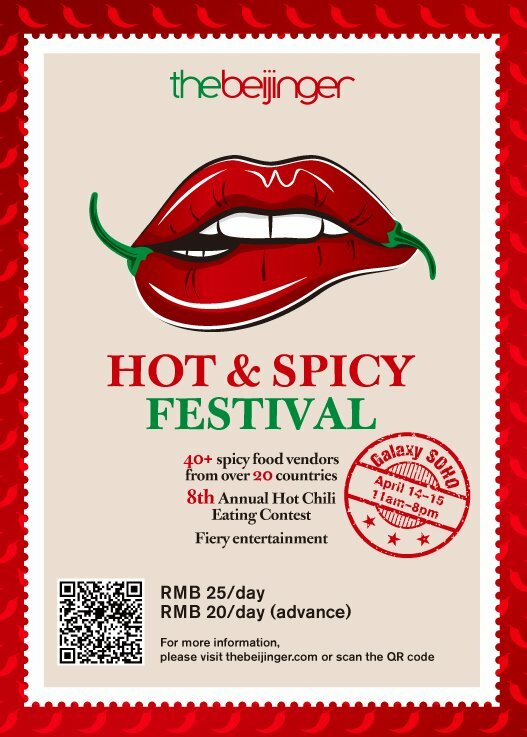 So scorch your calendars now and prepare your best asbestos mouth for this April’s Hot & Spicy Festival, a celebration and coming together of the world’s disparate spice-loving communities. If nothing else, it should once and for all break the stereotype that foreigners can’t eat spicy. For more details, please scan the QR code in the poster above. Are you a spicy food vendor? Want to attend our inaugural Hot & Spicy Festival? Booths are selling like hot cakes (so to speak), so book now through our sales team at sales@truerun.com or call 5941 0368.